The decision, which was announced Wednesday, Aug. 1, was a blow to the relative newcomer WeatherNation against one of the most venerable names in weather forecasting. WeatherNation had been on DirecTV since 2014. 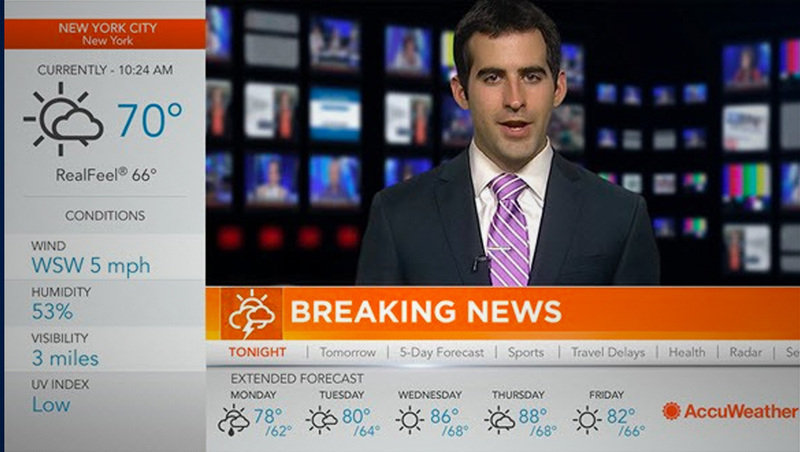 AccuWeather has taken over Channel 361, which was WeatherNation’s former channel assignment. The Weather Channel, which rivals both networks, was dropped from Verizon’s FiOS service in 2015, but still remains a mainstay on many cable and satellite providers. WeatherNation is still available on select cable and satellite providers, as well as via streaming services and, in some markets, over the air as a digital subchannel.